It is not every day in an Ivy League university recital hall that you hear discussions of how to bring music to the imprisoned, the disadvantaged, the disabled, and the dying. 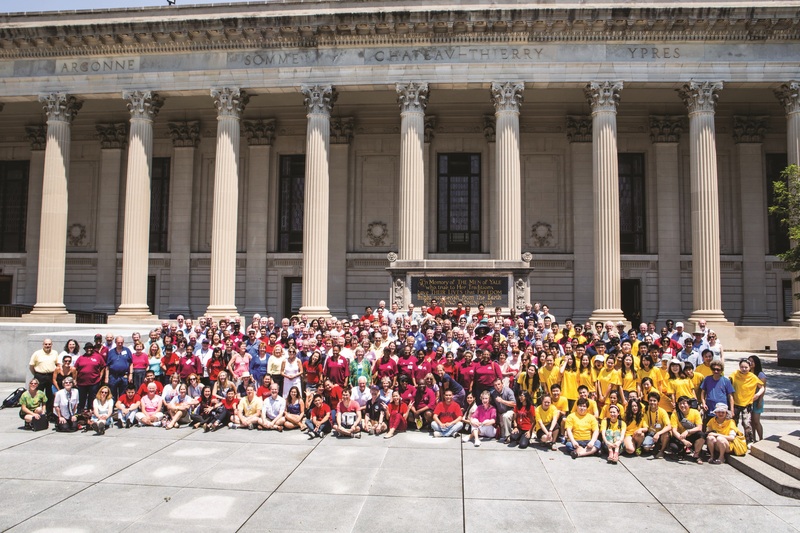 But here I was, a research fellow at the Yale International Choral Festival Symposium ‘Choirs Transforming Our World,’ and surrounding me were people who spent their lives doing just that. 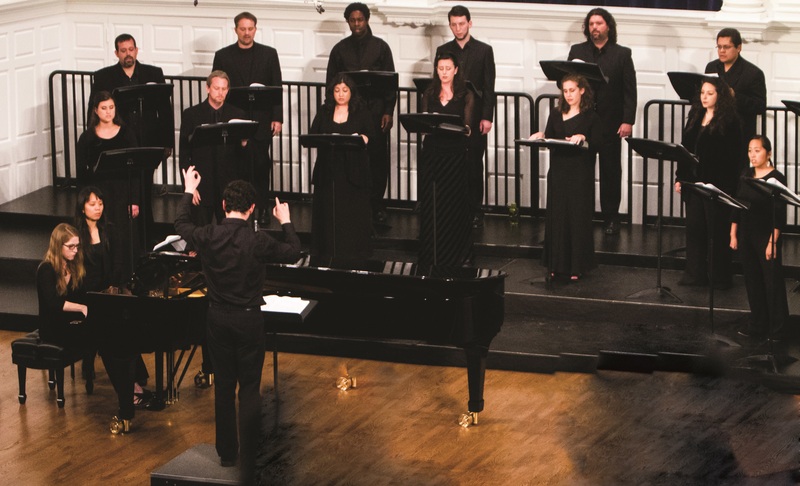 Almost every context in which choral music could be used to repair the world seemed to have an expert, and those experts were presenting, discussing, singing, and thinking, together in the Morse Recital Hall at the Yale School of Music. It was truly amazing. The Yale International Choral Festival took place from June 19–23, 2012 at Yale University in New Haven, Connecticut. 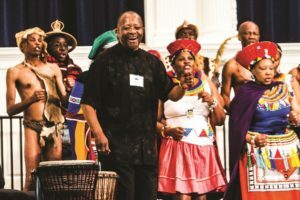 It brought choirs and conductors from all over the world to learn from one another through performances, master classes, lectures, workshops, and discussions. 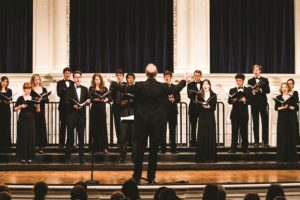 The event was sponsored by the Yale Glee Club, the Yale Alumni Chorus, the Yale School of Music, and the International Festival of Arts and Ideas. The two-day symposium ‘Choirs Transforming Our World,’ was organized on its side in association with IFCM’s Conductors Without Borders and ACDA’s Conductors Exchange Program. 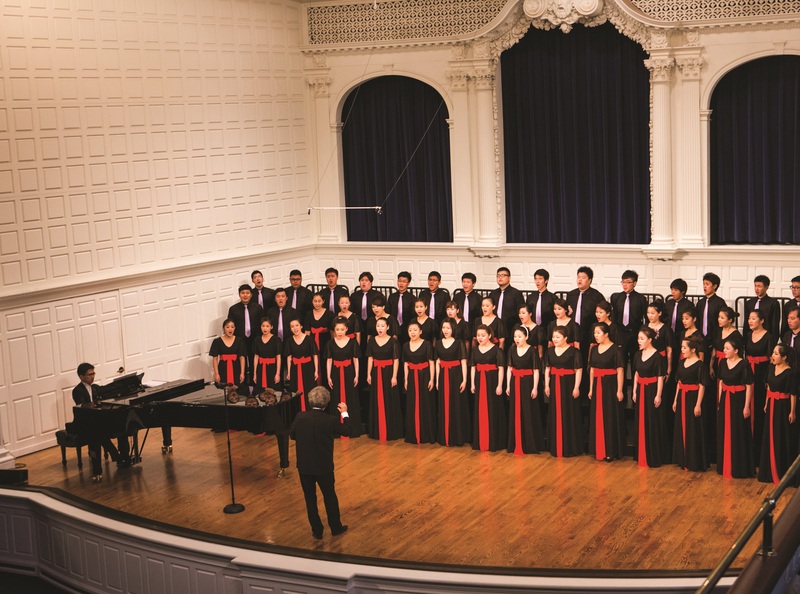 The International Choral Festival falls squarely within a long tradition of international choral outreach at Yale. 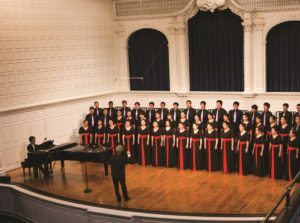 Throughout its history of touring abroad, the Yale Glee Club has inspired the creation of a host of choirs, most notably in Latin America and East Asia. 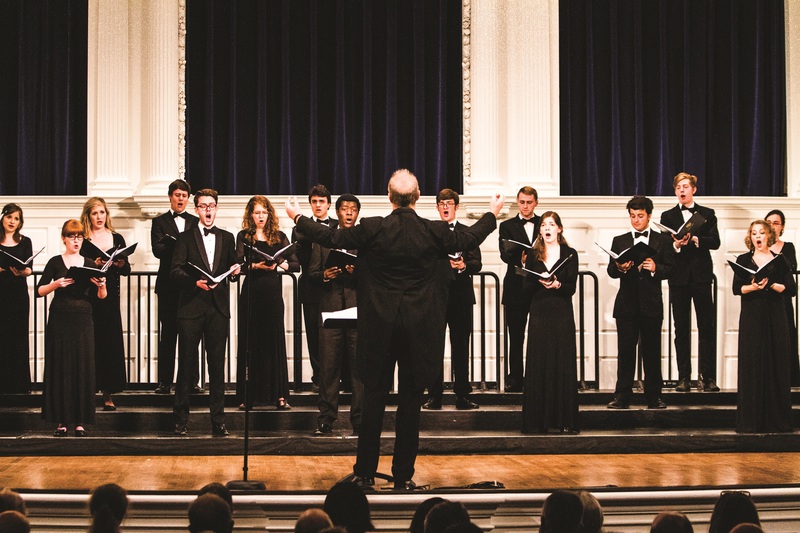 There is a long-held belief at Yale that choral music can serve as a tool for creating mutual understanding between nations. It is this belief that ultimately gave rise to the Yale International Choral Festival, and it is this belief that the festival affirmed. Six choral groups from around the world came to perform at the festival: the Central Conservatory of Music Chorus, Beijing; the Cambridge University Chamber Choir, UK; the Manado State University Choir, Indonesia; the Imilonji Kantu Choral Society, South Africa; the Yale Choral Artists; and the Yale Alumni Chorus. Each group gave a performance and each conductor led a master class and/or a lecture/workshop for the participants. What was most striking to hear from this confluence of ensembles was how each choir’s choral paradigm was completely different. The Chinese were almost perfectly precise in their technical display. The Indonesians’ incredible energy garnered standing ovations after nearly every song. The British tone was beautiful and pure. The South Africans’ spirit and struggle, as expressed in their music, was both inspiring and inclusive. The Yale Choral Artists performed challenging repertoire flawlessly and with grace. And the Yale Alumni Chorus, an enthusiastic group of over one hundred alumni assembled especially for the festival (and with whom I also sang), definitely sang the loudest. But most importantly, each group inspired the others, both through their musical expression and their generosity of spirit. It was choral exchange at its finest. After most of the choirs had finished their performances and left New Haven, the symposium began. It consisted of eleven formal sessions plus breakout discussion groups, and each was more interesting and thought-provoking than the next. (You can view video excerpts of many of the sessions by visiting www.yaleinternationalchoralfest.org). Mary Cohen, Bea Hasselmann, and Catherine Roma discussed their work with choral music in prisons. The prisoners’ humanity was brought out by the presenters, both in their work behind bars and in their presentation of it, and they discussed the social necessity, challenges, and rewards of such work. Next, Thomas Lloyd, James Feiszli, and Joy Hill shared their experiences with and strategies for planning and executing meaningful choral exchanges with their choirs. At the same time, Timothy DeWerff, Mollie Stone, and Helen Cha-Pyo discussed a variety of compelling topics: the Yale Alumni Chorus’s work creating and sustaining choirs in developing nations; the Jirani Choirs’ work creating opportunities for impoverished children around the globe; and how choral music is being used as a tool to fight AIDS in South Africa. We were privileged to hear a performance of Allison Fromm’s Joyful Noise, a choir of physically and mentally disabled singers who performed with moving spirit and true joy. Their performance, perhaps more than any other, proved to everyone in the hall that choral music really can and must be for everyone. We heard from Anne Haugland Balsnes on how choral music promotes mental well-being and from Philippe Rixhon, Lena Ekman Frisk, and Susan Knight on how to advocate for choral music in society. Naomi Faran and Francisco Nuñez discussed their work using choral music to build community among young people. Naomi Faran elaborated on the Moran Choirs’ outreach to disadvantaged Israeli youth, and Francisco Nuñez challenged the participants to prepare their choirs for the diversity of the new 21st century choristers, given the changing demographics and socioeconomic trends affecting the young population in America. Miguel Felipe, Susan Haugh, and Catherine Roma raised both sides of the question of the relevance of LGBT choirs in today’s world. Kate Munger shared her work with the Threshold Choirs, groups of women who sing at the bedsides of those who are dying. She taught a number of their beautiful part-songs, which we all sang together. Doreen Rao explored new ways of performing Bach in today’s world, specifically in combination with cross-cultural influences, and Simon Halsey and Hans Rehberg discussed the outreach initiatives of the Berlin Radio Choir. But perhaps even more striking than this dazzling display of sessions were the conversations and connections made between the participants between sessions: discussions on how to best start choirs in foreign countries; strategies for advocating in favor of choral music in the face of outside forces (such as the bureaucracy of the prison system, or the boundaries of an ethnic conflict); and collaborations to publish articles or books. As I wrote at the beginning of this piece, I have never before been surrounded by so many experts on my greatest passion – using choral music to effect social change – and I have never learned so much in such a short period of time. The festival ended with a Yale Alumni Chorus performance, which included a song from each of the guest choirs’ countries as coached by that choir’s conductor earlier in the week, along with a gala celebration afterwards, at which it was revealed that the members of the Yale Alumni Chorus had raised $10,000 for the Manado State University Choir in Indonesia due to their imminent need for resources and in gratitude for their beautiful presence throughout the festival. It was a powerful gesture that truly affirmed the themes of the festival and the symposium in particular. No one was left unmoved. I personally gained a great deal from the festival, and particularly from the symposium, as I am now in Jerusalem starting a choir for Israeli and Palestinian high schoolers called the Jerusalem Youth Chorus. The lessons I learned and connections I made at the festival were truly invaluable. I left inspired by the fact that what I am trying to accomplish is both important and feasible, and I also acquired and sharpened many of the tools that I will need to accomplish my dream. I have rarely been in a musical or intellectual environment as special as that of the festival and its symposium, and I hope that it is the first of many to come.